Here’s a new $1.50/1 Pledge FloorCare Product printable coupon that you can combine with an Ibotta rebate offer for a great deal at Walmart this week on Pledge Floor Care. 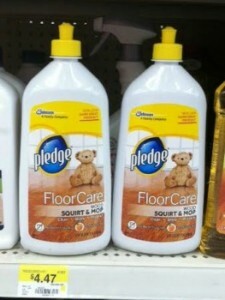 Pledge FloorCare Product, $4.47 ea. $0.97 each after coupon and rebate!